Hanoi (VNA) – The rates of passive smoking both at home and workplaces in Vietnam declined from 73.1 percent and 55.9 percent in 2010 to 59.9 percent and 42.6 percent last year, respectively. This is the result of a survey in 2015 jointly conducted by the US Centre for Disease Control and Prevention, the World Health Organisation (WHO), Vietnam’s General Statistics Office and the Hanoi University of Medicine. The survey also showed the rate of people exposed to tobacco smoke at schools decreased from 22.3 percent to 16.1 percent during the period while the exposure rate in public transportation means fell from 34.4 percent to 19.4 percent. The rate of smoking among the 13-15 age group decreased from 3.3 percent in 2007 to 2.5 percent in 2014, with 90 percent of the young smokers expressing intention to stop. According to Director of the Fund for Tobacco Harms Prevention Luong Ngoc Khue, the positive trend is the outcome of concerted efforts by the fund and ministries, agencies and local authorities. At the fund’s advice, 40 out of 63 labour federations of provinces and cities across the country have signed commitments with the Vietnam General Confederation of Labour on building a no-smoking working environment. As a result, 90 percent of grassroots trade unions have implemented measures towards a smoke-free working environment as of the end of 2015. All hospitals under the direct management of the Health Ministry have set up steering committees on tobacco harm prevention, and as of November 2015, 92 percent of provincial Health Departments and trade unions in the health service signed commitments to a no-smoking environment in hospitals. However, Vietnam is still among 15 countries with the highest male smoking rate, at 47.4 percent. The total number of smokers in the country amounts to 15.3 million, while 33 million non-smokers are regularly exposed to tobacco smoke at home and five million adults suffer from passive smoking in the workplace. The WHO reported that around 40,000 people in Vietnam die from smoking-related diseases each year. 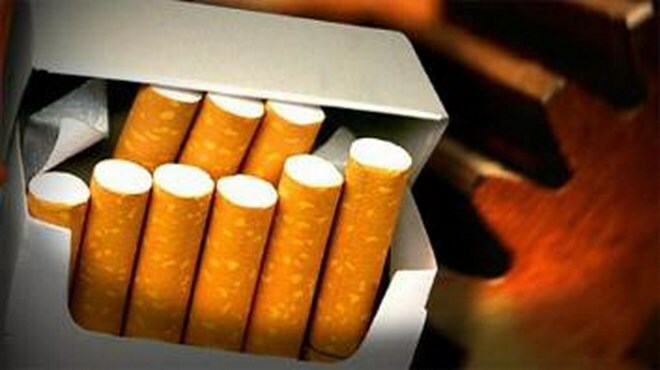 Meanwhile, a survey at the Cancer Hospital (K Hospital) in Hanoi showed 96.8 percent of lung cancer patients smoke. Passive smokers, particularly children, also face high risks of diseases. On the occasion of the World No Tobacco (May 31), Vietnam has launched a No Tobacco Week from May 25-31 to continue raising the awareness of both managerial agencies and society as a whole about the harms of tobacco smoking and reinforcing the enforcement of the Law of Prevention and Control of Tobacco Harms.